A 40-mpg highway fuel-economy number is becoming the new compact car norm, making the Honda Fit's peak figure of 35 mpg seem underwhelming. But buyers willing to make a slight concession to efficiency are rewarded with a car that is fun to drive, reasonably priced, and blessed with an incredibly flexible and roomy cabin. The best bang for your buck - the fit fits. Vehicle has large windows throughout which eliminates the multiple blind spots that other cars typically suffer from. The vehicle is also surprisingly very spacious with the back seat capable of completely folding down. That feature comes in handy when I moved from san Diego to san Jose and again, when I moved to a different house. When shopping, or transporting large items, we also use the fit versus the Lexus since it is more spacious. One of my favorite features with the vehicle is how compact it is. It can fit in the tiniest of the parking spaces and makes parallel parking easier. We have the saying “the fit fits” since we're able to nab spaces in busy lots that most vehicles drive past by since they do not fit. The gas mileage efficiency is everything about this car, which is probably the reason why we utilize the fit as our main car. The only downside to the vehicle is the lack of horsepower. Driving uphill is a struggle. In order to keep up with the traffic, I feel the need to be a little heavy footed. Obviously, it sounds like I am pushing the car more than it is limits which worries me in terms of preserving the car. 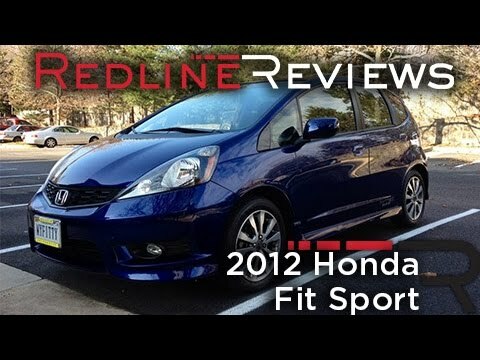 The Honda fit is perfect for the budget-conscious consumer. I bought my 2012 Honda fit base model brand new in July 2012, so I have now been driving it as my sole vehicle for over 6 years now. I have only had to do routine maintenance on it, no major repairs. I am 5'3", so it is a good size for me. The folding seats allow me to haul a lot more cargo than you might guess just from looking at the small size of the vehicle. I average at least 30 mpg when commuting, which is combination highway/city driving, and on long road trips I have achieved 40 mpg. Great vehicle. Massive cargo space for a subcompact vehicle means you can move lots of items in your car. The Fit performs quite well for a vehicle at the subcompact size. It has enormous storage capacity for such a small vehicle. The fold up/fold down rear seats makes transporting boxes a breeze. The mileage is consistent around 29-32 mpg. Overall mechanical health of the vehicle at nearly 100k miles out has been excellent, with only some brake pads, tires, fluids, and filters replaced. The "sport" model is mostly about looks, and less about speed, but it runs really nice for everyday driving.